The interior features four private staterooms with en suite heads and showers, a fully fitted modern galley and a full size navigation station in the salon. 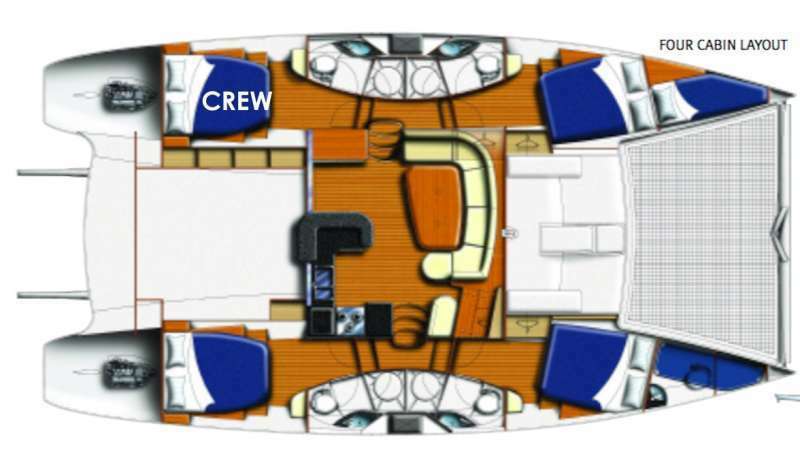 The signature walk-through access to the roomy cockpit and aft bathing platform,connecting the two transoms, completes this exciting model. Crew schedules are subject to change and will be confirmed 30 days prior to arrival. A vibrant and knowledgeable Chef/ first mate, Clodia comes from the very south of Belize. Clodia has been in the Tourism industry for over 15 years as a licenced Tour Guide and a PADI Dive Master, with experience in diving and touring the Barrier Reef from North to South including all atolls. Sailing the seas is her passion and she combines her love of nature and culture as she prepares and presents gourmet cuisines on board. Dive Info: We offer rendezvous scuba diving in various Belize Dive Sites throughout the country. Spectacular Belize diving locations include the Blue Hole, Hol Chan Marine Park (Shark-Ray Alley), Turneffe Atoll, Lighthouse Reef, Ambergris Caye, and various locations throughout the world’s second largest barrier reef. 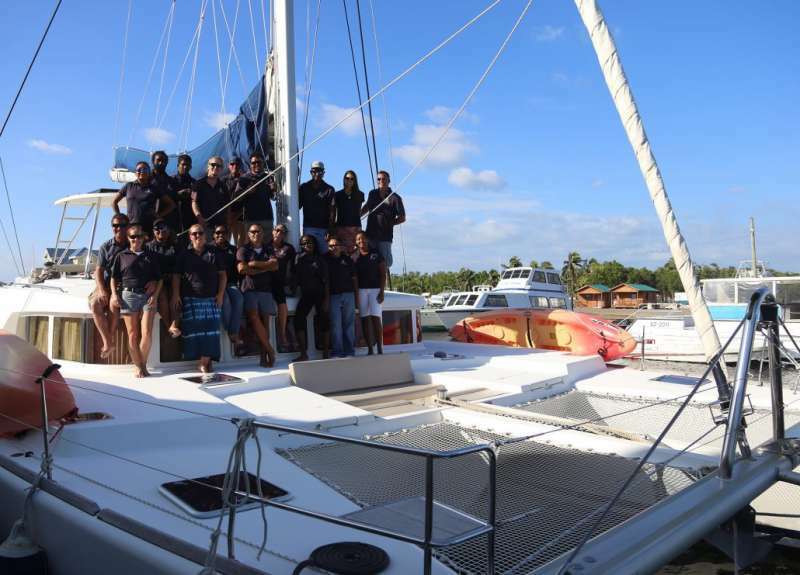 Scuba Diving in Belize is made easy allowing you to travel in style and luxury and meet up with the top Belize Dive operators who provide ith knowledge of the best sites, with local dive masters & instructors to create the ultimate Belize diving experience. We provide flexibility and diversity that will satisfy the most avid diver and appeal to non-diving companions, families and groups. PADI Certification, Belize Dive Packages, and Resort courses also available.